Celebrate the legend of Mark E Smith & The Fall with a special DJ tribute night of The Fall’s best songs & covers. Raise a glass or two, dance ’til you drop or merely hang out & submerge yourself in a night of pure Fall nostalgia knowing that there will never EVER be another like him. 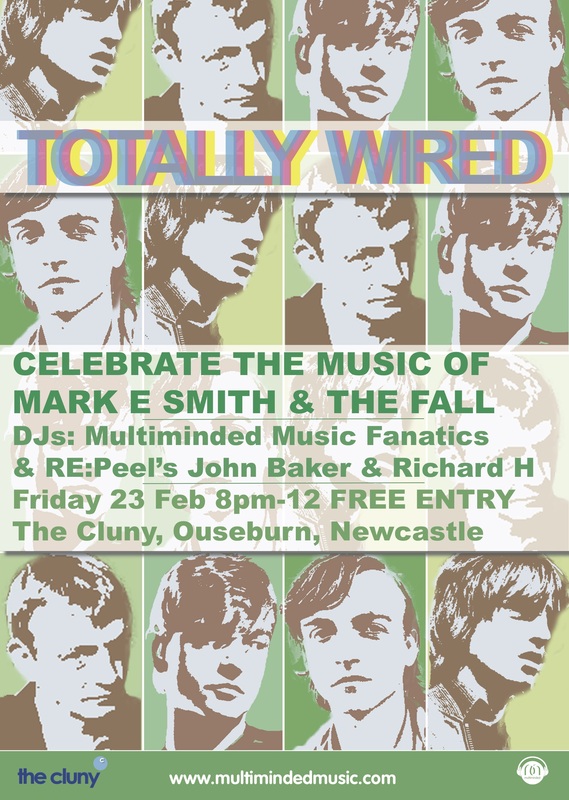 This DJ tribute at the Cluny is being put together by The Music Fanatics Multiminded (Jim & Fiona) who will be joined on the decks by RE:Peel DJ’s John Baker & Richard. FREE ENTRY. Please help spread the word by sharing this event with any like-minded fans or even new ones. Keep up to date in advance of the event via our Facebook event page.